Allergies exist in many different forms. Allergy symptoms occur when your immune system overreacts to an allergen—something that usually is harmless, such as plant pollen, dust mites, molds, insect stings or food. The allergic reaction to these could be runny nose, wheezing, rashes, fatigue, headache, nausea, vomiting or fever. 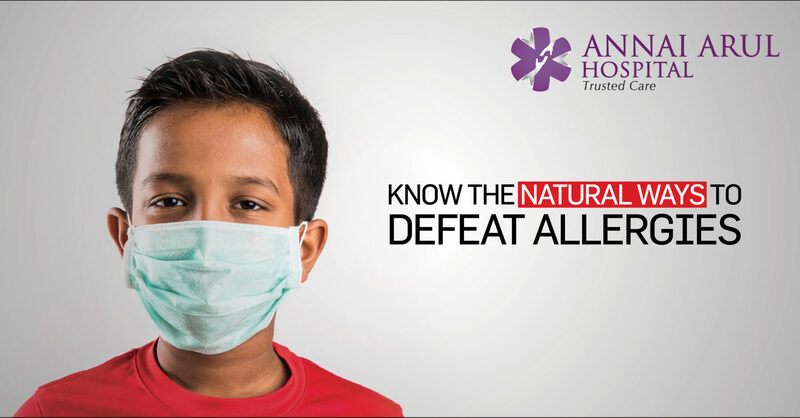 Effective treatment of allergic asthma includes identifying and avoiding allergens that trigger symptoms. For your eyes it may look like a wonderful day, with streaming sunlight and caressing breeze. But if the pollen in those breezes is high, then it’s better to keep the windows and doors closed to protect the indoor air and prevent any onset of allergic reaction. A HEPA filter air-conditioning system would help to filter air that is circulated inside your home. Everytime you come back home, you bring small pieces of the outside in with you. Your clothes, hair and skin are covered with tiny particles from everywhere you’ve been. So, it’s better to shower and change your clothes, so that you wash away the allergens. Always remember to leave your shoes at the door. Wearing a mask when stepping outside can keep allergens from getting into your airways. A respirator mask available at any medical store will block out 95% of small particles and keep you allergen free to a certain level. Those who ate lots of fresh vegetables, fruits including grapes, apples, oranges and nuts and tomatoes had fewer allergy symptoms. There is no doubt that a healthy diet is good for the whole body as it increases your immunity and protects you from allergies and infections. There is a process called nasal rinse. A nasal rinse cleans the mucus from your nose and can ease allergy symptoms there. It also washes away bacteria, thin mucus etc and cuts down on nasal drips. When you feel stuffy or have postnasal drip due to allergies, sip more water, juice or other non-alcoholic drinks. The extra liquid can thin the mucus in your nasal passage and give you some relief. Hot fluids like teas, broth or soup have added benefit of steam on your nasal passage. The best way to avoid indoor allergens is to keep the home clean. Harsh cleaning chemicals can irritate the nasal passage and aggravate your symptoms, so make natural cleaners with everyday ingredients like vinegar or baking soda. Use a vacuum cleaner with a HEPA filter to trap allergens. Inhaling some steam is a simple trick to clear a stuffy nose and make breathing easy. Hold your head over a warm (not too hot) bowl of water and place a towel over your head to trap the steam; you can also sit in the bathroom with a hot shower running.